When business leaders are motivated by the familiar maxim, “The grass is greener on the other side,” they may just literally pick up and relocate to access more nourishing pastures. Companies shift locations for numerous reasons. A company makes great strides when employees make quality contributions to services and products. In order to access talent with specialized skills, companies are willing to relocate. No longer are potential workers moving to where the jobs are. Companies now move to actively seek out top talent. For example, a tech startup may relocate to San Francisco, a flourishing tech hub, to attract workers skilled in technology. Or, a business operating in the finance sector may shift to New York City, a key player in the financial market, to appeal to the right candidates. Plus, businesses are willing to relocate to areas near top universities. The reason is clear: Leading companies benefit from continual access to highly qualified recent graduates, who have the skills to make a meaningful dent in the company’s output. General Electric, for example, shifted its headquarters to Boston, Massachusetts from Fairfield, Connecticut. As a company with a 124-year history, keeping up with advancements requires access to educated workforces and agile tech companies. The relocation made the leaders’ goals possible. Youthful, creative talent, like Millennials, are attracted to the hustle and bustle of city life. Cities that stay awake 18 to 24 hours a day are peppered with high-end dining options, luxury apartments, streams of entertainment venues and the convenience of public transportation. Given that happy employees are more productive, companies are relocating their headquarters to where these young, educated, and skilled workers want to live, work, and play. Growing cities, like Denver, Seattle, and Boston, offer lifestyles that entice youthful workforces, making business leaders consider relocation a viable option to stay competitive. Expanding companies may outgrow their existing facility, prompting the need to move to a more updated space. Rather than invest in the scarce time and capital necessary to build a brand-new facility, businesses make the practical decision to relocate. A new office space may feature co-working environments to encourage collaboration, technology resource areas, plenty of glass, moss walls and generous amounts of desk space. Employees also experience rejuvenation when the company relocates. The boost in morale prompts workers to innovate. Customers and investors make critical, initial judgments about a brand based on the company’s office. Business leaders jump at the chance to improve the message they want to convey to outsiders. Relocating gives companies an opportunity to enhance their brand’s personality. Whether a company’s brand is youthful and fun or traditional can be easily inferred from a visit to the office. 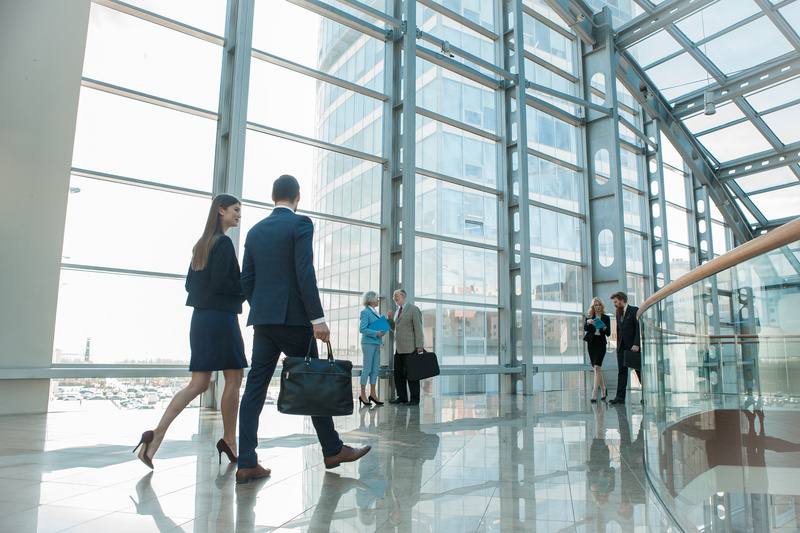 Business leaders know their brand’s tone can be transformed by shifting to a thriving city or moving to a contemporary office space. Returning to the example of General Electric’s recent relocation, the traditional company aimed to keep up with society’s progress rather than be seen as an antiquated business. Their move to a major city helped shape their vision for a business that is able to cater to the current needs of its customers. Similarly, ConAgra relocated its headquarters to Chicago to rebuild its brand. The decision to move was also partially prompted with the goal of attracting the type of new talent that would, in turn, help shape and reinvigorate the company’s existing brand. The companies who actively seek to re-establish their brands through relocation efforts show customers and business partners that they are invested in staying current and are able to meet the current demands of the marketplace. Rather than stagnate, businesses aim to shine in evolving times. The cost of running a business is extremely high. Hefty recurring expenses include commercial lease costs (which are based on the building’s square footage), high taxes ,and even environmental regulations. Companies have a reason to move when overhead costs skyrocket. Marriott International’s headquarters, for example, is currently at nearly a million square feet. With the company’s lease expiring in 2022, the company’s CEO is considering relocating for many reasons, among which are to access a higher quality talent pool. Companies seek to shift to a location where the roads are passable, public services, are ample and the financial stability of local and state communities is high. Leaders choose areas where utility services are dependable and will not interrupt day-to-day business. Indiana, for instance, incentivizes businesses to move to the state with a credit that reduces corporate income tax liability. Similarly, Kentucky offers businesses an income tax credit. Louisiana, to facilitate relocations, gives companies a rebate that offsets relocation costs up to 25 percent. With all the advantages surrounding business relocations, shifting a company is a challenge. When business leaders know they have professional office moving help, like from Chicago Office Movers, relocating becomes less of a hassle and more of an event to anticipate. The commercial movers at Chicago Office Movers are licensed, background checked and unionized to ensure maximum peace of mind for all business clients. All movers are trained to carefully handle all office properties. Included in our moving services are planning, packing and unpacking. Chicago Office Movers has earned a stellar reputation among its many clients, which include Northwestern University and Alcatel Lucent, among many other major institutions and companies. Whether your office is small or large, Chicago Office Movers is prepared to offer top-notch service. We are available to move businesses locally, long distance or internationally. Chicago Office Movers will get business owners started with planning their corporate relocation and provide execution of the moving plan. A free estimate is available to businesses ready to embark on their new venture. To request a free estimate with our corporate movers, contact Chicago Office Movers at 312-244-2246.